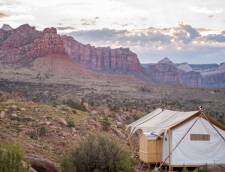 Zion Under Canvas offers a unique glamping experience for large or small groups. 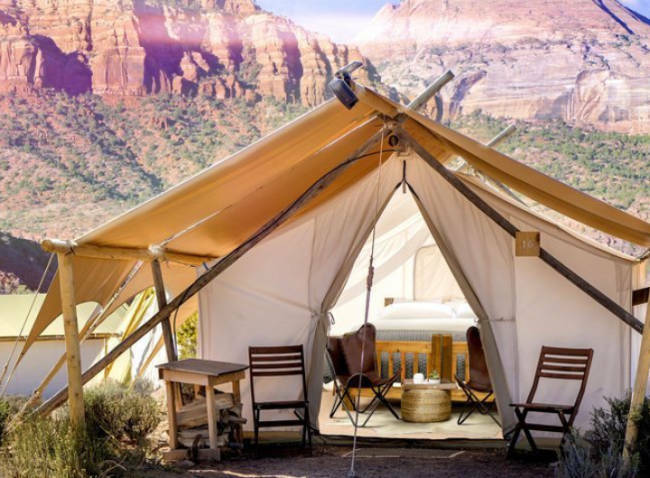 Zion Under Canvas is located on 196 acres bordering Zion National Park. 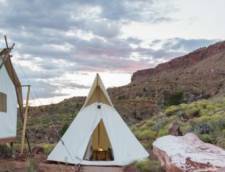 At the property of Zion Under Canvas you will see beautiful views of the majestic red rocks, be close to trails and activities. 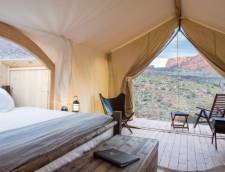 Zion Under Canvas offers Deluxe Tents with private bathrooms, Safari Tents with communal bathrooms, Deluxe and Safari Tents with adjacent Tipis, Suites for that special occasion or for the perfect family vacation, and the Stargazer Tents, where you can relax on your king size bed and fall asleep looking up at the stars. 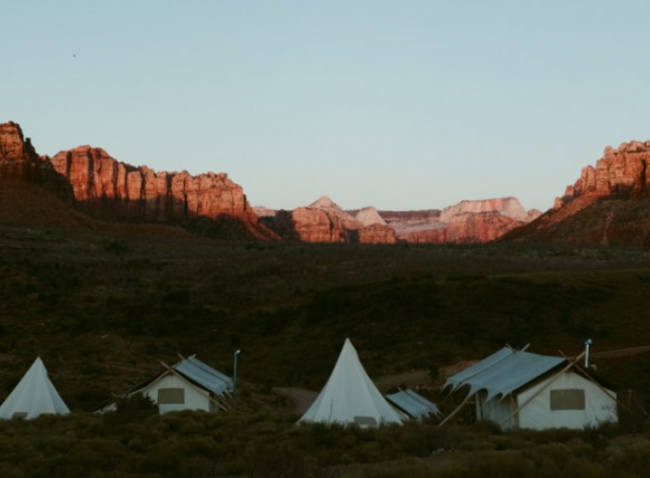 Zion Under Canvas wants to make your stay as easy as possible with breakfast at camp, lunches to go and dinner in the evening under the stars around a campfire. 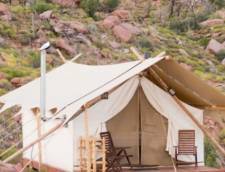 Let Zion Under Canvas help you with organizing your vacation activities too. 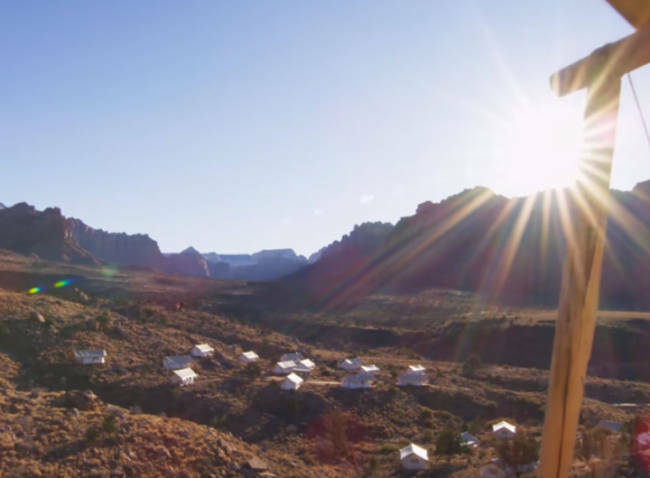 Zion Under Canvas has put together some of the favorite tours and activities for you. The possibilities are endless. 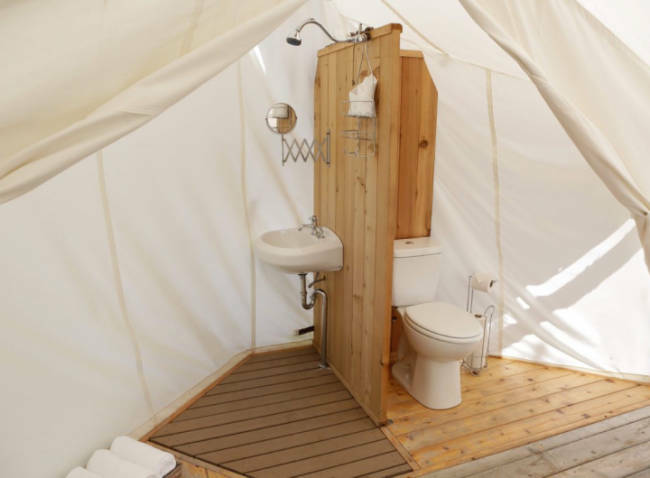 The Deluxe Tent offers a private bathroom complete with a shower, sink, flushing toilet and one king bed. 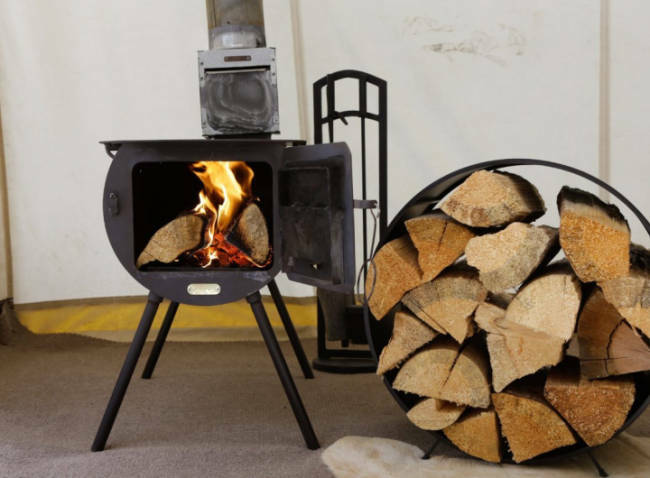 The wood stove will keep you warm on chilly evenings and a private deck to enjoy the surrounding views. 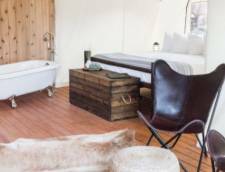 The Stargazer tent has a viewing window right above the king bed, a private bathroom with shower, sink, and toilet. Plus a wood stove and private deck with chairs. The Suites offer a king bed, private bathroom with shower, sink, and toilet. Plus a queen sofa sleeper, wood burning stove and private deck with chairs. 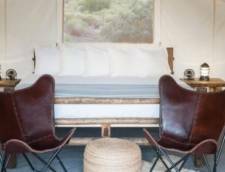 The Safari Tent offers one king bed, inside and outside chairs and a wood burning stove. A communal bathhouse is a short distance from the tent. 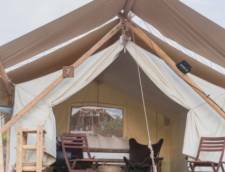 The Safari Tents offer four twin beds great for families or friends traveling together. A communal bathhouse is moments away from the tent. The Deluxe Tent with adjacent Hive features all the amenities of the Deluxe Tent with additional sleeping space provided by the Hive. 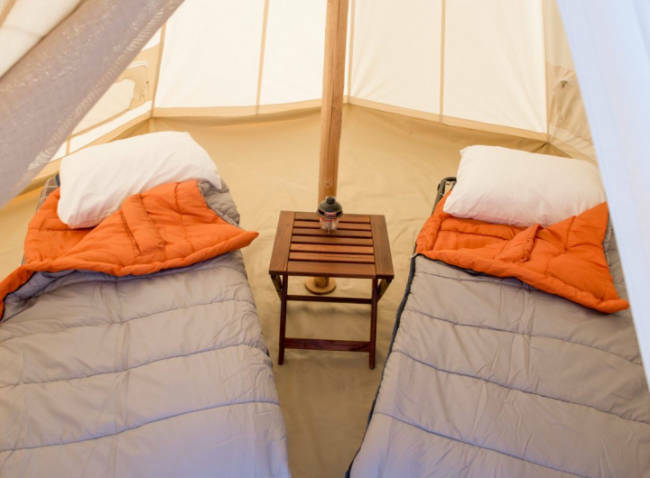 The Tipi offers two twin beds and bedding. 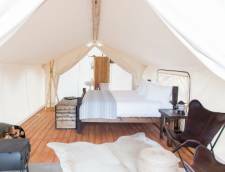 The Safari Tent with Adjacent Hive offers a king size bed plus a wood burning stove in the tent, two twin beds are in the adjacent Hive. A shared bathhouse is moments away from the tent. 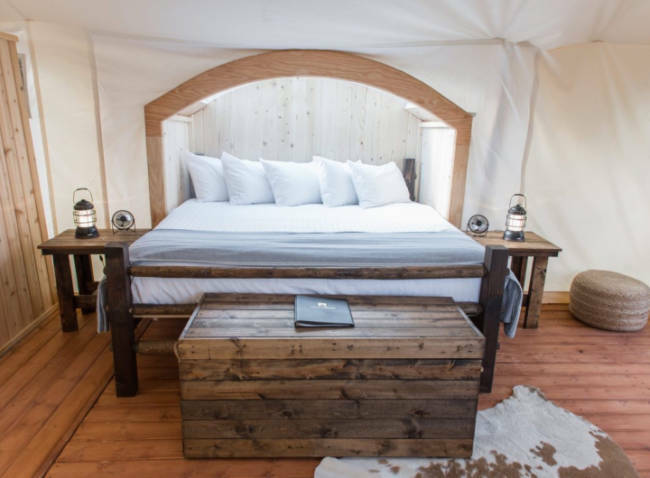 The Suite with Adjacent Hive is ideal for larger groups traveling together, the Suite offers a king bed, a queen sofa sleeper, a wood burning stove, deck with chairs and a private bathroom featuring a shower, sink, and toilet. The Hive offers two twin beds for extra sleeping area. The Stargazer Tent with Adjacent Hive offers a little more room than just the tent. 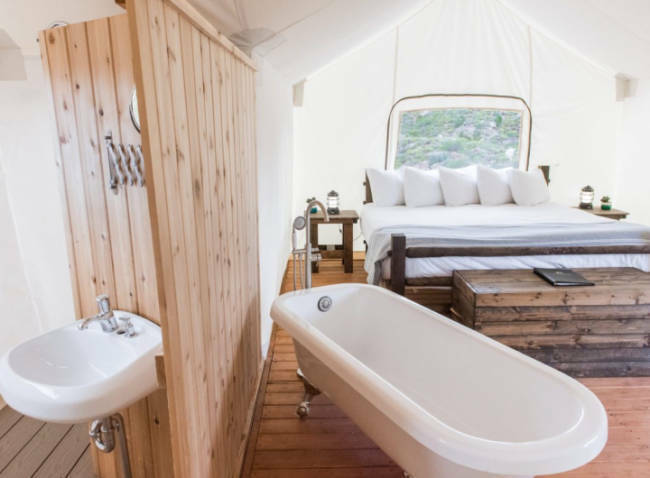 The Tent offers a king bed, a viewing window above the bed, a wood burning stove, and a private bathroom complete with shower, sink, and toilet. 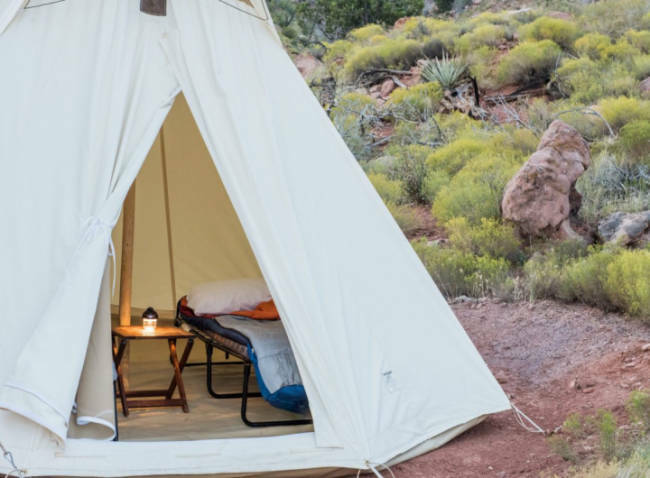 The Tipi offers two twin beds and bedding. 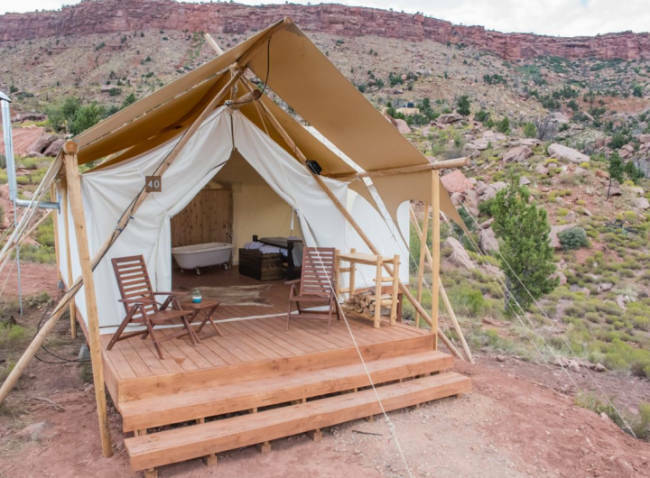 Zion Adventure Package is a three-day lodging and excursion package, that begins the moment you reach Zion Under Canvas. Each day is carefully planned out with adventure in mind. Start out with a guided hike, three-hour Jeep Safari trip, meals, and relaxation are all provided in this package. Included: 2 nights of lodging, 2 days of breakfast, lunch, and dinner as well as the activities listed in the itinerary. Not included: Airfare, airport transportation, park fees, and gratuities. 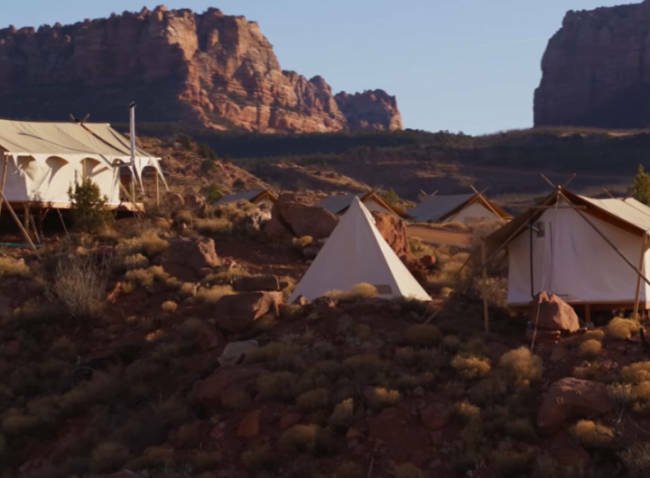 Zion Under Canvas can accommodate any dietary restrictions for all included meals. Menu choices will be coordinated directly by the concierge agent. Zion Expedition Package is a four-day vacation package offering canyoneering around Zion, hiking, three-hour private Jeep Safari trip, guided hike in Zion, helicopter flight, relaxation time and meals are all included. Included: 3 nights of lodging, 3 days of breakfast, lunch, and dinner as well as the activities listed in the itinerary. A deposit equal to 100% of your total stay is required no later than 24 hours after your reservation is confirmed and will be charged to your Credit Card. We require a minimum of 14 days notice for cancellations or changes. Reservations canceled or changed more than 14 days prior to arrival will be refunded minus a 5% cancellation fee. Reservations canceled within 14 days of the scheduled arrival date are responsible for the entire time reserved and will forfeit all payments. All canceled reservations will forfeit 5% of the amount paid for processing fees. Early departures or no-shows will still be chargeable at their full rate. Due to our strict cancellation policies we strongly recommend guests secure trip cancellation Insurance. Non-refundable pet fee of $25 per pet per stay. Rates Policy: Rates based on 2 people. Additional Guests (Children ages 0-2 are free. Children 3 and over are to be added as adults) - $25/person/night. Prices Subject to Change.